Simon & Schuster, 9781451690453, 384pp. 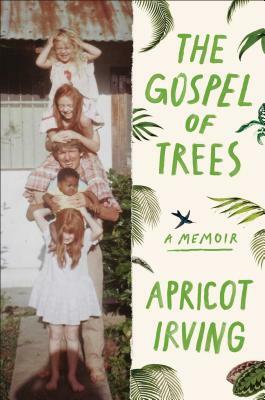 In this compelling, beautiful memoir, award-winning writer Apricot Irving recounts her childhood as a missionary’s daughter in Haiti during a time of upheaval—both in the country and in her home. As she emerges into womanhood, an already confusing process made all the more complicated by Christianity’s demands, Irving struggles to understand her father’s choices. His unswerving commitment to his mission, and the anger and despair that followed failed enterprises, threatened to splinter his family. Beautiful, poignant, and explosive, The Gospel of Trees is the story of a family crushed by ideals, and restored to kindness by honesty. Told against the backdrop of Haiti’s long history of intervention—often unwelcome—it grapples with the complicated legacy of those who wish to improve the world. Drawing from family letters, cassette tapes, journals, and interviews, it is an exploration of missionary culpability and idealism, told from within. "The daughter of a dedicated missionary, Irving grew up in Haiti, where she learned both the power and the risks of working to improve the world--and the toll it can take on a family. An eye-opening memoir."